The Tents are Up and the Countdown Begins! 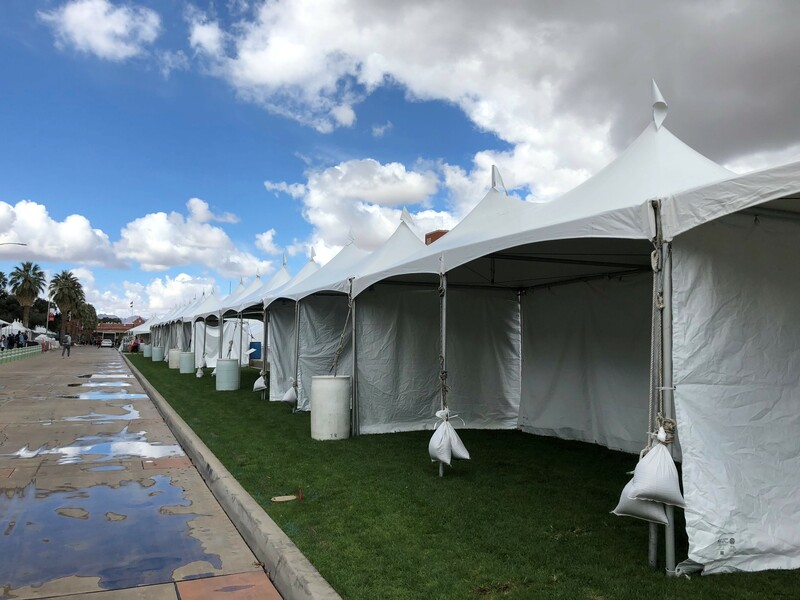 The tents are up and we’re eagerly putting the final touches together for what is sure to be a Tucson Festival of Books for the record books. 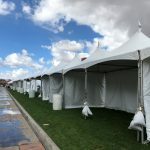 In the last decade, the Tucson Festival of Books has become one of the city’s most anticipated events. With over 400 authors and an estimated 130,000 attendees, the Festival symbolizes the importance of togetherness and community, facilitated through books and the shared love of reading. The University of Arizona Press is proud to have been a part of the Festival since its inception in 2009 and we look forward to continuing to bring diverse voices in literature to the Old Pueblo. We are thrilled to have more than twenty authors participating in this year’s Festival. Taking the stage with our friends at Nuetra Raíces will be Frederick Luis Aldama, who will discuss Latinx Superheroes; award-winning Daniel Olivas will discuss craft and his latest short story collection The King of Lighting Fixtures; and Vickie Vértiz is slated to give a reading of her latest poems from Palm Frond with Its Throat Cut. Sara Sue Hoklotubbe returns to the Festival again to celebrate her new Sadie Walela mystery, Betrayal at the Buffalo Ranch. We’ll have a number of authors with local connections, too, including Mark Nelson, Tom Miller, Oscar J. Martínez, and Farid Matuk. Many will be presenting at panels and signing books. Be sure to visit us in booth #242 for special discounts and author signings!